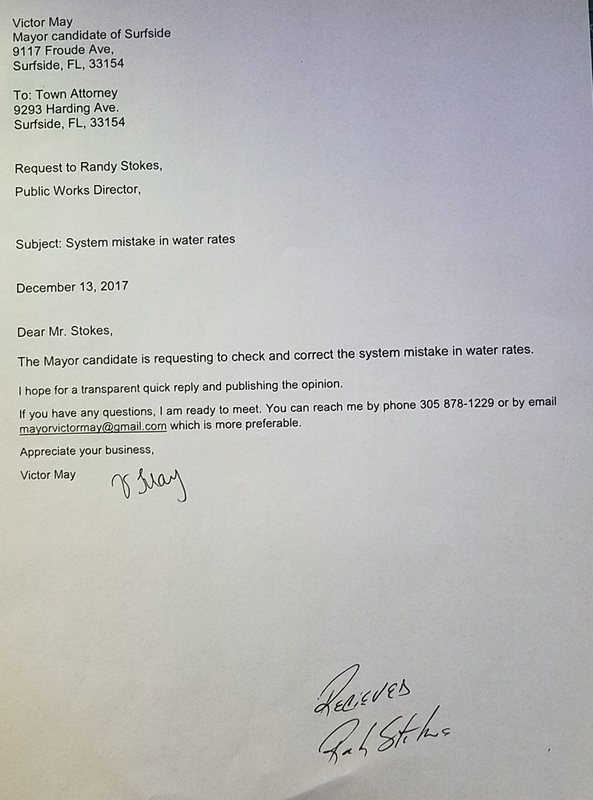 The town pays to Miami-Dade Water and Sewer Department $1.7341 per 1000 Gallons of water but charges $2.97, plus meter charge, plus service charge, plus taxes. Total mess in billing with the present Mayor. There is no surprise now why the Finance Director retired.